Golden amber color. Fruity, nutty aromas and flavors of caramelized fruits and nuts, jamaica drink, hearts of palm, and crystallized ginger with a glycerous, fruity sweet full body and a tingling, thought-provoking, long finish displaying impressions of marshmallow, chocolate fudge ice cream, roasted nuts, and leather finish. A rich and satisfying sipper. 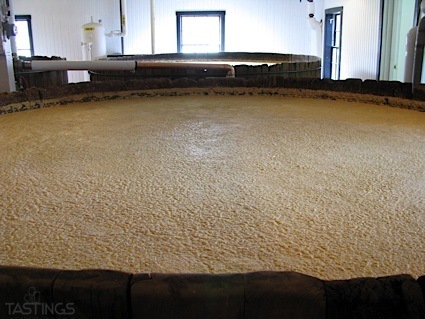 Bottom Line: A rich and satisfying sipper. 95 • Mount Gay XO Reserve Cask Rum 43% (Barbados) $45.00. 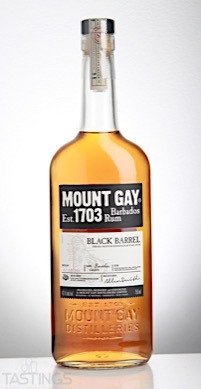 93 • Mount Gay Black Barrel Rum 43% (Barbados) $29.99. 88 • Mount Gay Eclipse Rum 40% (Barbados) $19.99. 88 • The Botanist Islay Dry Gin 46% (Scotland) $.00. Mount Gay Black Barrel Rum rating was calculated by tastings.com to be 93 points out of 100 on 3/27/2017. Please note that MSRP may have changed since the date of our review.